Morning I thought I might yabber about shelves this morning,Â an essential piece of decorating kit for every room. 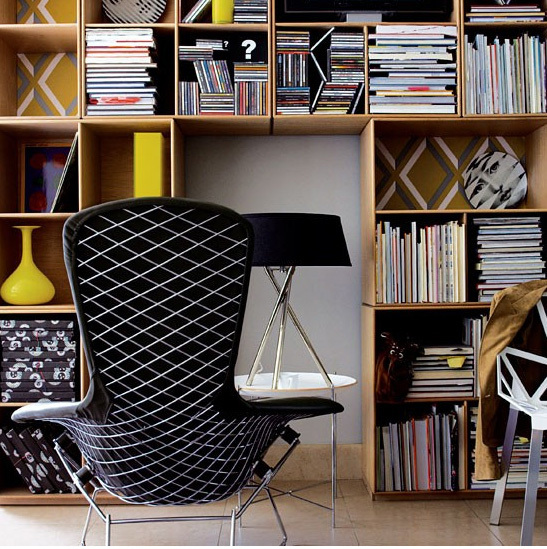 Whether you want to store books, photos, accessories, plates – they wake up walls big time. You can hang just a few, or you can do a floor to ceiling bookcase. You can make them from wooden planks, or buy cheap as chips MDF ones. The possibilities are endless. 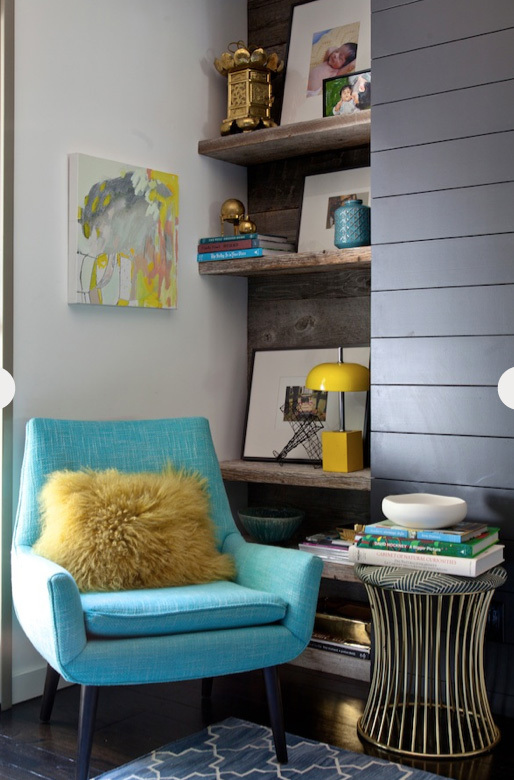 Go up – using all the vertical space on a wall does two things. It gives you oodles more storage space and it makes the room appear taller than it really is, particularly fab for small rooms! Create focal points. You don’t want everything the same height on your shelves, nor do you want lots of itty-bitty things because it will read like a hot mess. I’ve got piles of books and old issues of magazines in mine but I stagger them with some decorative objectsÂ to intrigue the eye and lift it! I always paint mine out the same colour as my walls so they go away but you will see from the images below that these guys haven’t and they look fab. It all depends on the vibe you want to create.Â Also Â as demoed here you don’t need a cool collection of expensive glass to make shelves look amazing. Mags, books the kind of stuff you’ve got laying around will totally work, its just how you style it up. 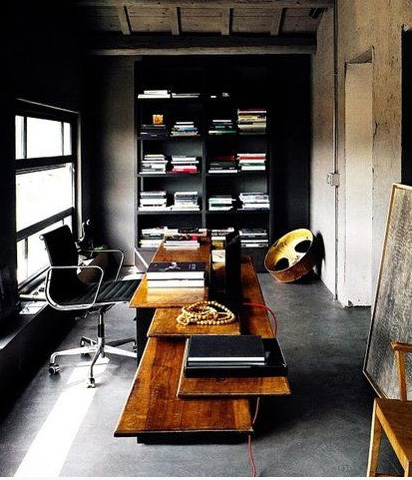 I am obsessed with wood, wooden walls, wooden shelves I love love love the rustic vibe. Even better when some super glam pieces are partnered with it. How cool are these shelves! Also in love with these floor to ceiling ones. These are painted out the same hue as the walls a trick I use time and time again. Also cool these ones especially as there is nothing fancy pants in them – magazines, books the odd accessory. Must shoot,Â a quick spin at the gym is in order – yuk and its raining but I like the rain.Â I like you can smell the earth and it waters the garden at the very same time so I’ll drive with the windows down! Crazy? PossiblyÂ that’s been said before, regrettably many a time!